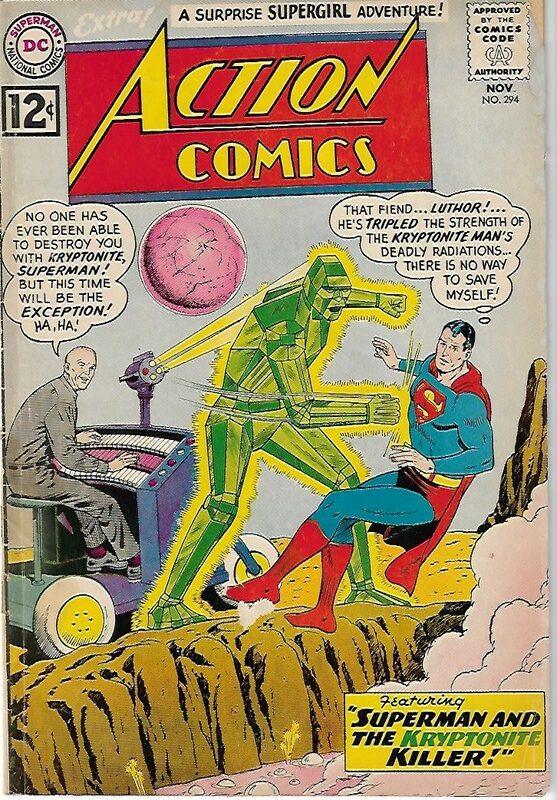 Lex Luthor cover, green kryptonite cover! Cover de Curt Swan, cerneala George Klein. “The Kryptonite Killer!”, de Edmond Hamilton, arta de Al Plastino; Luthor scapa din temnita de pe Planeta Roxar cu ajutorul a trei androizi, apoi conduce jafuri si crime intergalactice. “The Mutiny of Super-Horse!”, script de Leo Dorfman, arta de Jim Mooney. Be the first to review “Action Comics 294” Click here to cancel reply.